The founder of Facebook has published four ideas that he believes could help better regulate the internet. Mark Zuckerberg’s four ideas revolve around harmful content, election integrity, privacy and data portability. He published his thoughts in a Facebook Newsroom blog titled ‘Four Ideas to Regulate the Internet’, published on Saturday March 30. Introducing his piece, he spoke how companies like Facebook have “immense responsibilities” today. This is because, as Zuckerberg’s first line outlined, ‘technology is a major part of our lives’. “Every day we make decisions about what speech is harmful, what constitutes political advertising, and how to prevent sophisticated cyberattacks,” he wrote. Mark Zuckerberg’s four ideas about how to regulate the internet have been shared with the world. Zuckerberg later went on to say Facebook has a responsibility to help address these issues. He is now “looking forward” to discussing them with lawmakers around the world. Facebook has made several moves to tackle problems in these areas. But Zuckerberg says people shouldn’t have to reply on individual companies addressing issues by themselves. In posting this, he has called for “a broader debate about what we want as a society”. So, without further ado, what are Zuckerberg’s four ideas? Firstly, Zuckerberg discussed Facebook’s responsibility to keep people safe on its services. “That means deciding what counts as terrorist propaganda, hate speech and more,” he wrote. “We continually review our policies with experts, but at our scale we’ll always make mistakes and decisions that people disagree with. Because of this Facebook is creating an independent body, so people can appeal their decisions. Meanwhile, they’re also working with governments to ensure content review systems are effective. Zuckerberg’s idea? He’s calling for a more standardised approach to the enforcement of standards on harmful content. “One idea is for third-party bodies to set standards governing the distribution of harmful content and measure companies against those standards,” he said. “Regulation could set baselines for what’s prohibited and require companies to build systems for keeping harmful content to a bare minimum. “Facebook already publishes transparency reports on how effectively we’re removing harmful content. Legislation is important for protecting elections, says Zuckerberg. In fact, Facebook has already made “significant changes” around political ads. However, the boss believes there is more to do. Zuckerberg added: “Third, effective privacy and data protection needs a globally harmonized framework. He argued that new privacy regulation should build on the protections GDPR provides. The Facebook founder is calling for it to protect people’s rights to choose how their information is used, while allowing companies to use information for safety purposes and to provide services. He believes it shouldn’t require data to be stored locally. Moreover, he says it should establish a way to hold companies accountable, by imposing sanctions when mistakes are made. “I also believe a common global framework — rather than regulation that varies significantly by country and state — will ensure that the internet does not get fractured, entrepreneurs can build products that serve everyone, and everyone gets the same protections,” he said. Zuckerberg added: “Finally, regulation should guarantee the principle of data portability. “If you share data with one service, you should be able to move it to another. This gives people choice and enables developers to innovate and compete. For Zuckerberg, true data portability should look more like the way people use his platform to sign into an app, rather than the existing ways we download an archive of our information. However, to achieve this he believes clear rules – about who’s responsible for protecting information when it moves between services – are needed. Common standards have also been called for. This is why Facebook supports the open source Data Transfer Project and a standard data transfer format. The Facebook founder concluded his blog post by calling for the ‘broader debate’. He added: “These four areas are important, but, of course, there’s more to discuss. “The rules governing the internet allowed a generation of entrepreneurs to build services that changed the world and created a lot of value in people’s lives. 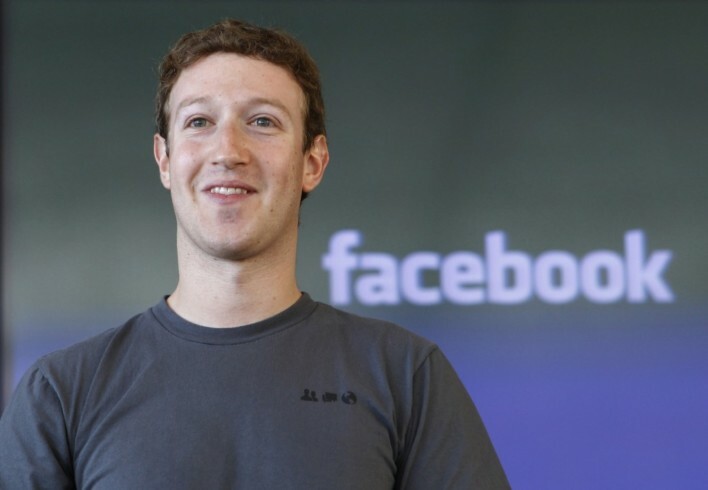 To read Mark Zuckerberg’s Four Ideas to Regulate the Internet blog in full, click the link. For more breaking news about Zuckerberg, Facebook and Internet safety – keep your eyes peeled to the FileHippo News blog!